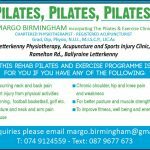 Letterkenny Physiotherapy, Accupuncture & Sports Injury Clinic was one of the first private physiotherapy clinics in Donegal. Physiotherapy or physical therapy can be defined as a method that helps to restore movement and function when somebody has been affected by an injury, illness or disability. 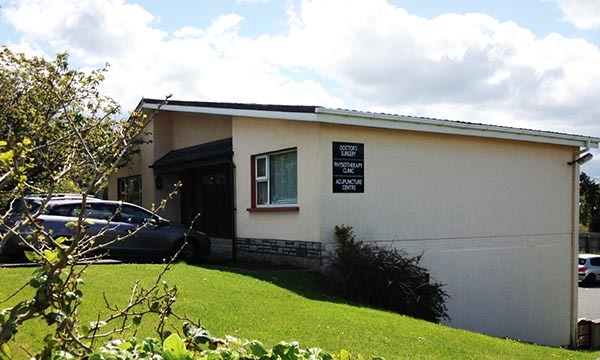 Since being established in 1990, the aim of the Letterkenny Physiotherapy Clinic has been to have a patient-centred and evidence-based approach, at the core of service delivery. Here at our private clinic in Letterkenny, Co. Donegal, our chartered physiotherapists have a strong commitment to providing a highly-professional service and at all times adhere to the clinical guidance and advisories of the Irish Society of Chartered Physiotherapists, the World Confederation of Physical Therapists and the Health Service Executive. 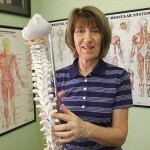 I am a native of Letterkenny and studied Physiotherapy at UCD, qualifying in 1981. After graduating, I worked in Letterkenny General Hospital, Donegal District Hospital, Glasgow Area Health Board and in Australia, spending time in acute clinical hospitals and private practice. On my return to Letterkenny, I opened the first private physiotherapy clinic in Donegal. My husband, Dr Murrough Birmingham, Family Doctor opened his practice one year earlier. We have been working from our current premises for almost 25 years. 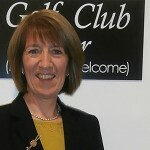 I hold a specialist qualification in Acupuncture and specialise in the treatment of joint and soft tissue injuries using Acupuncture with great success. This year, I will be 33 years qualified, giving me a wealth of experience and competence in managing injuries, pain, and stiffness and prescribing the appropriate rehabilitation to strengthen the weak muscles. Physiotherapy can manage successfully many physical problems.